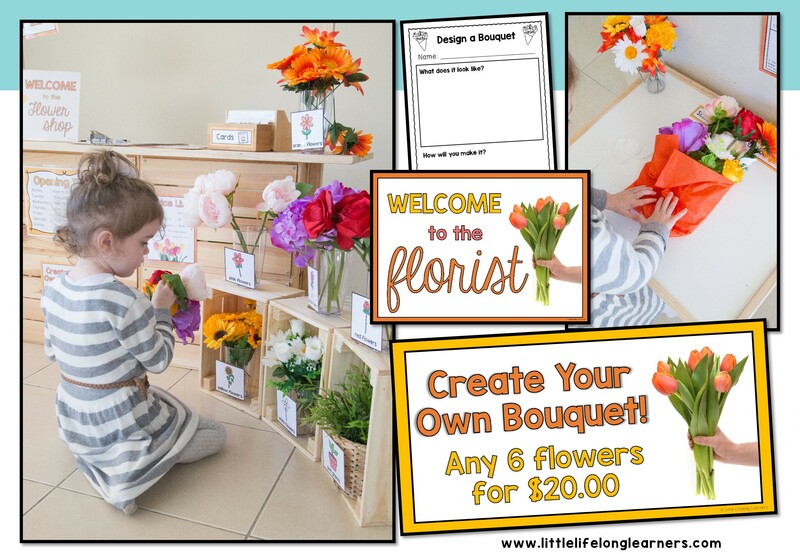 If your little learners love dramatic play, they will LOVE setting up their own Flower Shop! Link literacy to their play and encourage early writing and mathematical understanding as they role play! Do your little learners love to engage in imaginative play? 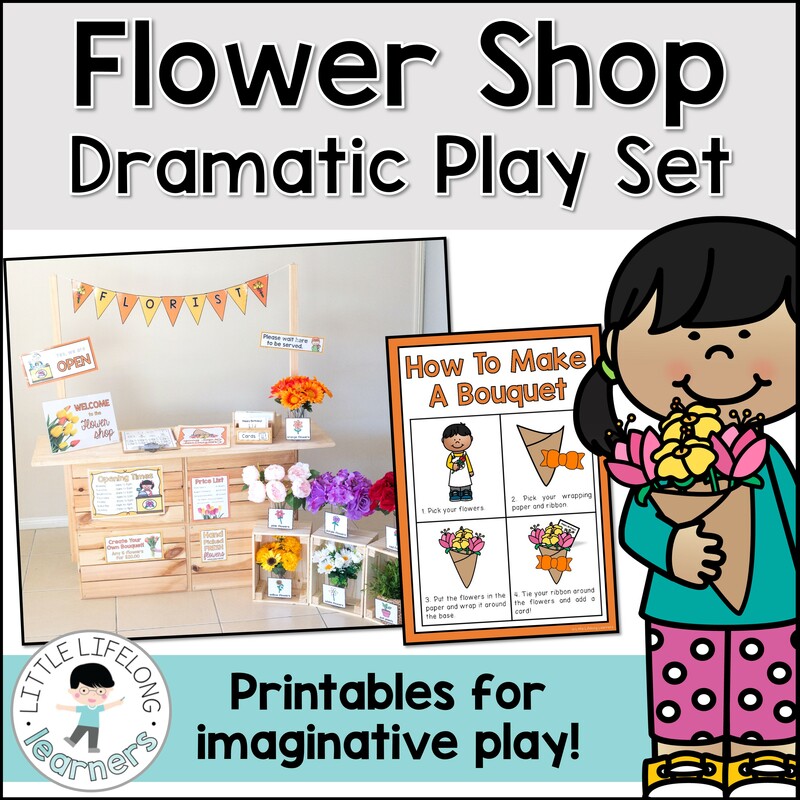 They will love this Flower Shop Dramatic Play centre! It includes everything you need to set up an engaging space in your dramatic play area! Imaginative Play is a great way to develop oral language skills, cooperation, content vocabulary and social skills in your early childhood classroom! 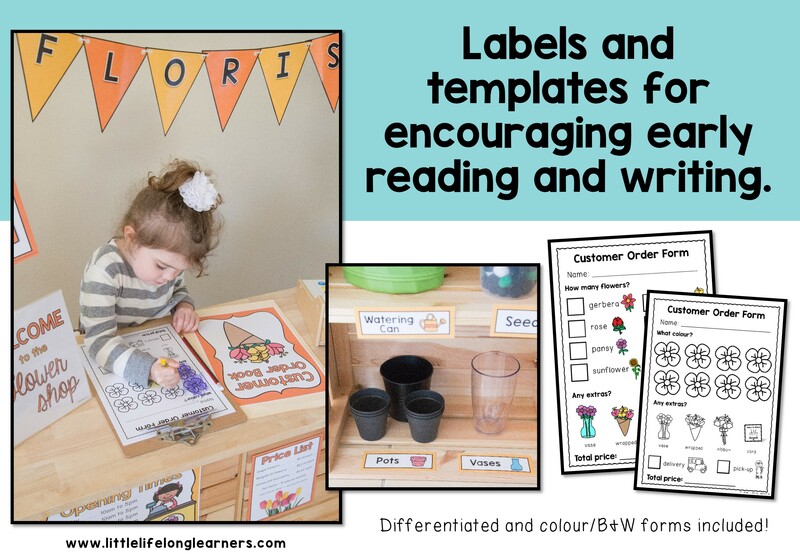 Inside this packet, you’ll find posters, labels, printable fill-in forms and more! 16 vocabulary labels (vases, cards, gloves, water can etc) with spares! Customer order forms in colour and B&W for flower colours and flower types! Your little learners will develop early reading and writing skills as they play in the Flower Shop! 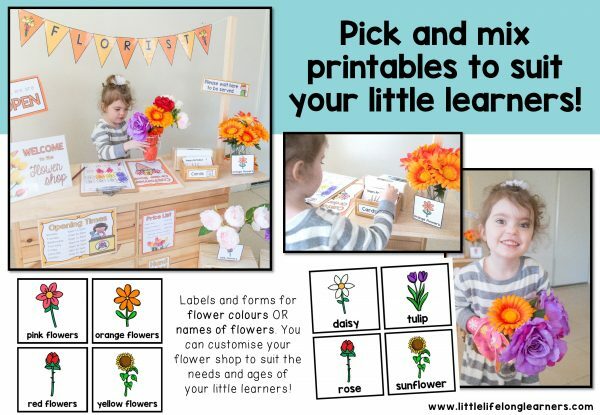 They will begin to recognise familiar words such as colours and florist specific vocabulary as they become familiar with the labels. 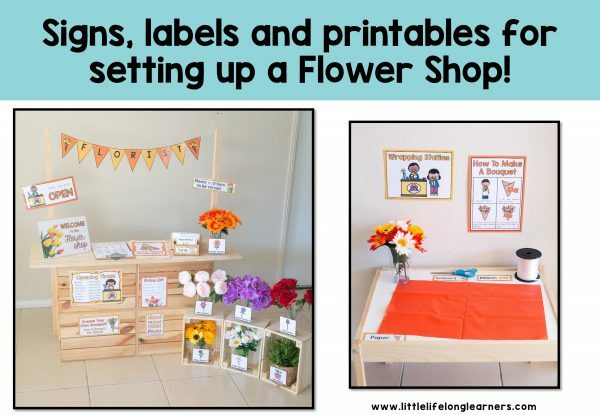 Create your own flowers from tissue paper and pipe cleaners or paddle pop sticks and cardboard! You can also use artificial flowers from the dollar store. 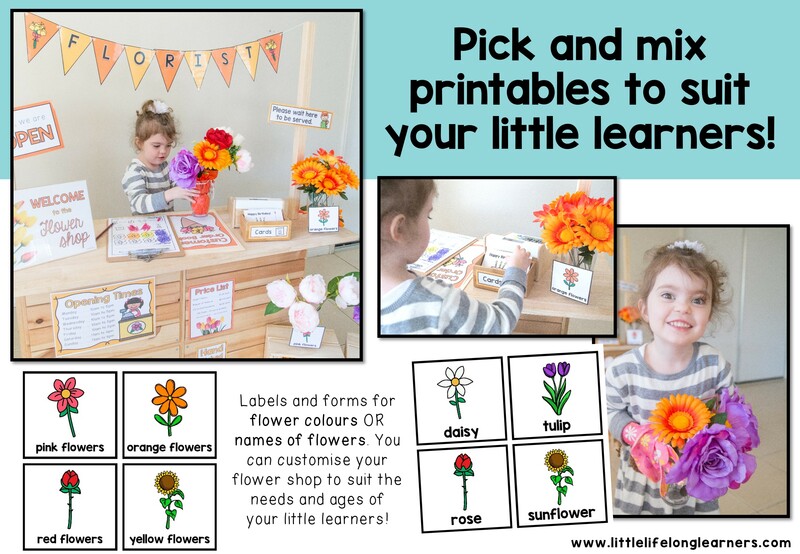 You might even like to create some dirt play dough so that your little learners can plant their own flowers and extend their role-play! This packet includes a list of suggested materials and set up ideas so all you need to do is print and go – the hard work has been done for you! Please note that all of my packets include US and AUS spelling variations.